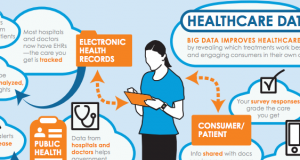 Your Medical Data: What You Need to Know Now. There’s a powerful new tool in healthcare: using large amounts of digital data to help people stay healthy and improve the delivery and quality of care. Consumer Reports has produced a 16-page guide to help consumers understand how their medical records and data are being used and privacy concerns surrounding that use. The guide was produced with support from Atlantic Philanthropies and in collaboration with AcademyHealth.